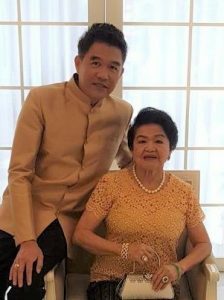 We are delighted to announce that Dr. Pichai Tangsin and his Mother, Mrs. Malee Tangsin, are pleased to offer a full scholarship to a Thai monk to attend the School of English for Engaged Social Service (SENS) 2018 program. In our first program, SENS 2016, this scholarship was offered to the Venerable Phramaha Kriangsak Prasoetsang, a monk from Wat Thong Nopphakhun, a Buddhist temple in Bangkok. Have been in the monkhood for at least five Phansa (Rains Retreats). Have an adequate foundation in the English language (at least low intermediate). Are willing and able to participate in the SENS training program throughout the entire three-month period, and to use the English and other skills acquired in the program to further propagate Dhamma teachings to a wider audience. The full scholarship will cover all tuition, workshop fees, food, lodging, medical insurance, and program-related travel expenses for the duration of the SENS 2018 program, January 7 – April 5, 2018. We are profoundly grateful to Mrs. Malee and Dr. Pichai Tangsin for this generous gift, and we would like to ask you to spread the information about this scholarship to eligible Thai monks who you believe would be appropriate for this training program. Thai monks who are interested in applying for this scholarship to attend the SENS 2018 program should download the application form from www.inebinstitute.org/apply/. The application deadline is December 15, 2017 or passing that, until the scholarship is filled.